Rowling was born to Peter James Rowling, a Rolls-Royce aircraft engineer, and Anne Rowling (ne Volant), on 31 July 1965 in Yate, Gloucestershire, England, 10 miles (16 km) northeast of Bristol. Her mother Anne was half-French and half-Scottish. Her parents first met on a train departing from King's Cross Station bound for Arbroath in 1964. They married on 14 March 1965. Her mother's maternal grandfather, Dugald Campbell, was born in Lamlash on the Isle of Arran. Her mother's paternal grandfather, Louis Volant, was awarded the Croix de Guerre for exceptional bravery in defending the village of Courcelles-le-Comte during the First World War. Rowling has said of her teenage years, in an interview with The New Yorker, "I wasnt particularly happy. I think its a dreadful time of life." She had a difficult homelife; her mother was ill and she had a difficult relationship with her father (she is no longer on speaking terms with him). She attended secondary school at Wyedean School and College, where her mother had worked as a technician in the science department. 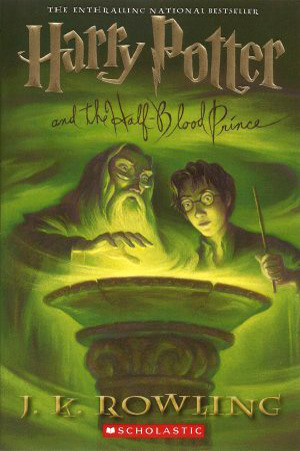 Rowling said of her adolescence, "Hermione a bookish, know-it-all Harry Potter character is loosely based on me. She's a caricature of me when I was eleven, which I'm not particularly proud of." Steve Eddy, who taught Rowling English when she first arrived, remembers her as "not exceptional" but "one of a group of girls who were bright, and quite good at English." Sean Harris, her best friend in the Upper Sixth owned a turquoise Ford Anglia, which she says inspired the one in her books.